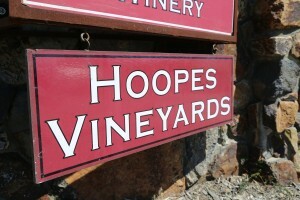 Hoopes Vineyard was founded by Spencer Hoopes (who we originally met with). 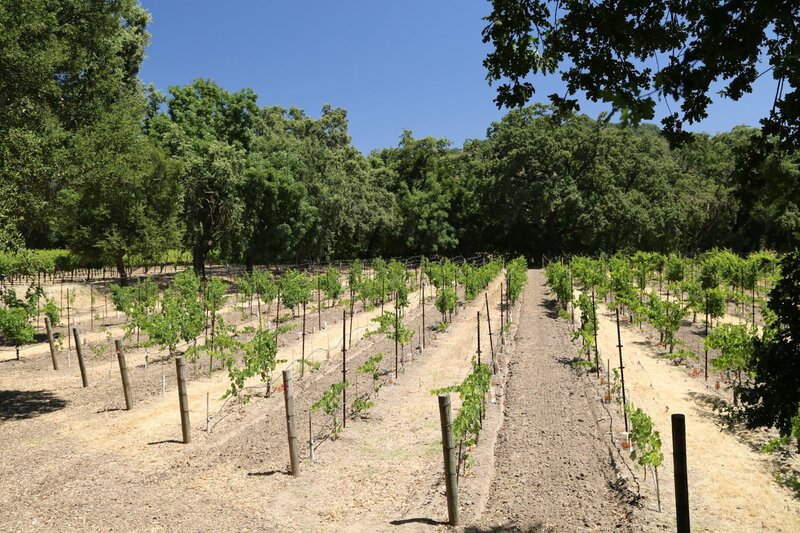 Spencer purchased a 10-acre vineyard in the Oakville appellation in the early to mid 1980s; this gorgeous piece of property is located off of Yount Mill Road just north of Yountville – right on the dividing line between the Oakville and Yountville sub appellations. 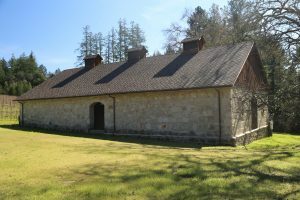 Their vineyard is only about a mile from one of Napa’s most historical sites (located to the southeast of the Hoopes Vineyard) – where George Yount built a log block house a a two-story adobe house in 1837. 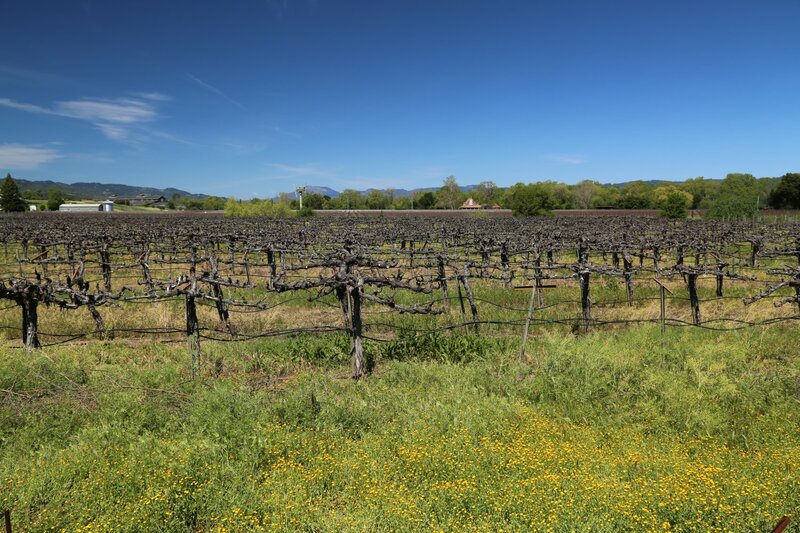 For reference, the first ‘western’ recorded exploration of the Napa Valley was only 13 years prior in 1823 led by Padre José Altimira, the founder of Mission San Francisco Solano in the town of Sonoma. 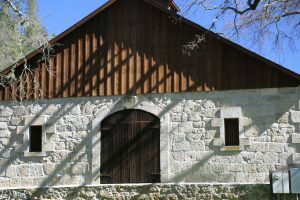 Yount also built a grist and saw mill on a section of the Napa River that he diverted to power his grist mills. 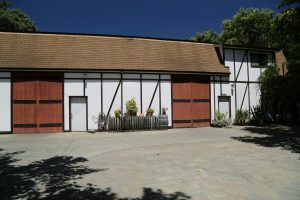 This is also where Napa’s first grapes (Mission grapes) were planted by George Yount – in our historical research, we have come across multiple sources indicating varied years when this occurred from the mid to late 1830s – with an 1856 Official Report of the California State Agricultural Society reference to George Yount’s vineyard and orchard planted 18 years prior which would have been 1838. 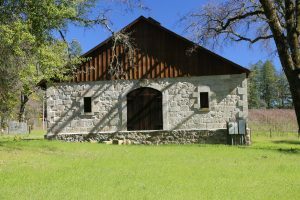 A historical landmark along Yount Mill Road is the only reminder in this area of this treasured history. Spencer was raised on a farm in Arizona – but did not pursue his passions for farming immediately. 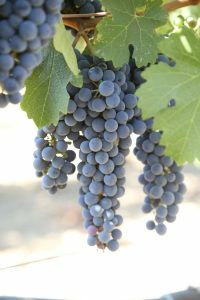 He enjoyed a long career in anti-trust law and and various entrepreneurial endeavors including as a wholesaler of automotive parts; today wine is Spencer’s full time passion. 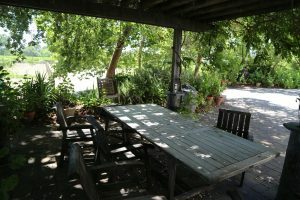 He was originally introduced to Napa during a visit many years ago, fell in love with the area and purchased property. He also began collecting wine and even created a wine club with some friends. 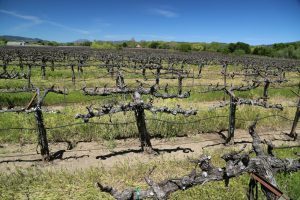 After Spencer purchased his first property in the Napa Valley in Oakville he oversaw the planting of 10 acres of Cabernet Sauvignon in 1983. Spencer told us it never was his original intention to get into the wine business; but today he owns three labels (Hoopes, Hoopla and Liparita), several properties and a physical winery. 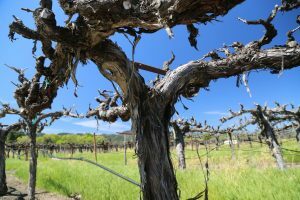 Initially he sold all the fruit from his Oakville vineyard to an area winery for a number of years. 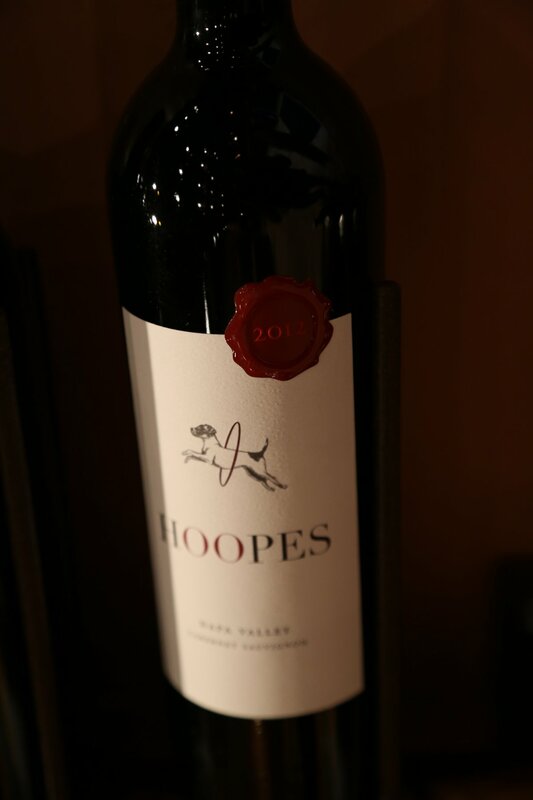 In 1999 his friend Mitch Cosentino (founder of Cosentino Winery) helped him make a small amount of Cabernet Sauvignon which became the first commercial release of Hoopes Vineyard. From 1999 until 2007, Hoopes focused their production on a single wine – a Cabernet Sauvignon. However the 2007 harvest was an exceptional one – and Spencer decided to keep wine from one block within the vineyard separate – Dante’s Block and this was bottled as its own wine. Production has certainly increased since then and today Hoopes a number of different wines – typically between 2,500 and 3,000 cases a year. In 2013, his daughter Lindsay joined the family business and has since taken over the day to day management of the winery. Like her father, she also has her law degree – and has worked for Williams-Sonoma and also as an Assistant District Attorney in San Francisco. While taking their wine extremely seriously, Spencer also has a sense of humor and you can see this throughout their packaging and how they operate. He loves dogs and has nicely incorporated a canine theme and the play on his last name into several light-hearted labels. 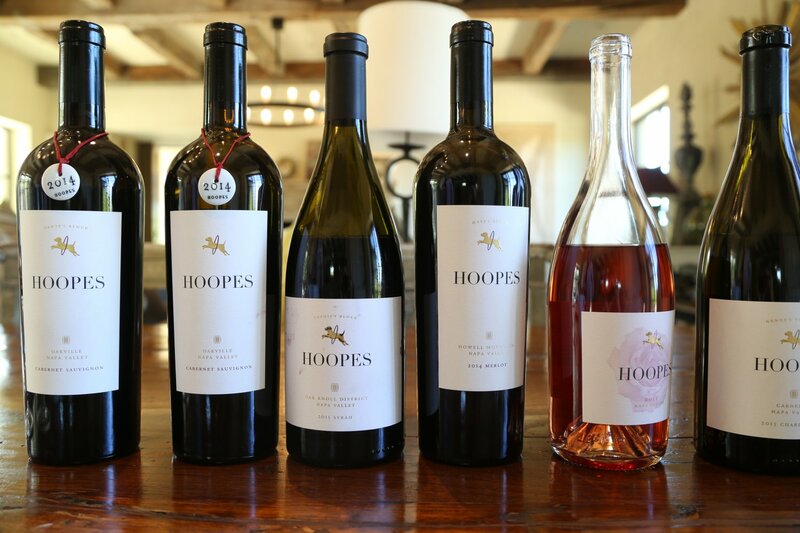 The Hoopes wines feature a dog jumping through a hoop (Dante) and select wines are bottled with a ceramic medallion attached to the actual bottle – and the Hoopla wines depict Dante with one of the hoops in its mouth. Initially Hoopla wines focused entirely on white wines but later they began producing a wider variety of wines including several reds. In any case these are ‘fun’ and affordable wines that over deliver on the quality to price point ratio. The 2006 Hoopla Chardonnay; the fruit for this wine was sourced from Yountville – the wine is not oaked and does go through malolactic fermentation. It is crisp and clean with a rounded but not too soft of a mouth feel. Citrus and minerality notes on the bouquet lead to similar flavors on the palate with nuances of apple and lime. The 2004 Hoopes Vineyard 100% Cabernet Sauvignon is from their Oakville vineyard; it is a beautiful wine. Spencer strives to create wines that are soft, and devoid of harsh tannins, even in their youth (but have the acidity to handle cellaring). He has done an excellent job with this vintage. The wine is a bright ruby color and the nose opens up to seductive elegant aromas of red plum and cherry with touches of spice and vanilla. The fruit shows across the palate but especially so on the finish which is velvety smooth and of great length. This wine will pair very well with food. Also note if you are looking for “value” in a higher end Napa Cabernet Sauvignon, this is an excellent choice as it is priced quite decently for the quality. The 2014 Hoopes Vineyard Maya’s Block Merlot is a captivating wine that was sourced from a vineyard high on Howell Mountain. 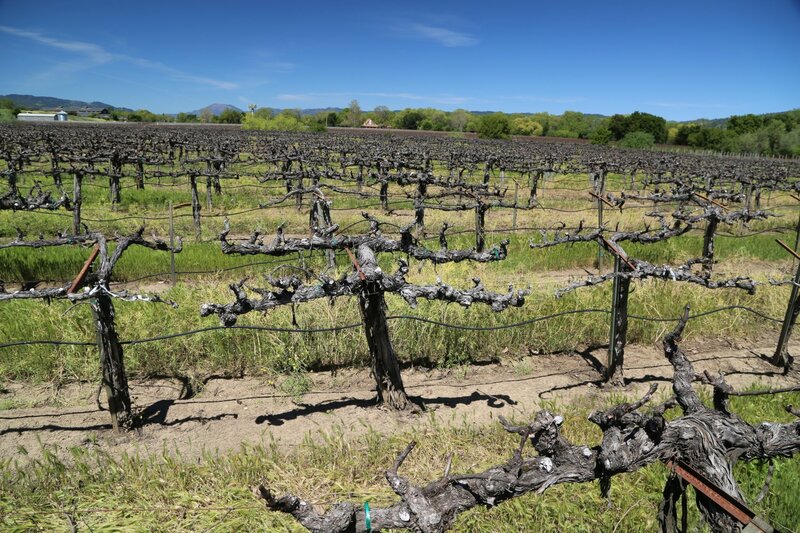 A number of the Merlots we taste in the Napa Valley are from the Oak Knoll District (valley floor, further south in the valley) and tasting this wine is a significant contrast from these valley floor Merlots. Well layered on the bouquet, offers aromas of earth, mushroom, cedar, hints of pepper and chocolate – it is a savory showing. Well-layered on the palate,features mainly darker berry fruits along with black cherry. Shows darker spices and dusty tannins on the finish. This is a Merlot with plenty of ‘stuffing’ if you will. The 2014 Hoopes Vineyard Dante’s Block Cabernet Sauvignon Oakville offers a diversity of aromas including blackberry (somewhat briary), a hint of cedar box, toasted oak, cocoa powder and a darker spice nuance. Shows mouth watering acidity on the palate – packed with plenty of flavor this wine is a savory delight. Finishes with earthy, somewhat gravelly feeling tannins. Plenty of length on the finish and has all the stuffing to be able to age for years to come. Spencer purchased the long time Howell Mountain based brand Liparita Cellars in 2006 (although not the original stone winery which still stands near the entrance to Las Posadas Road on Howell Mountain). 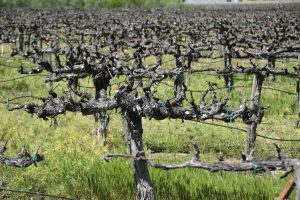 Historically this brand produced several white wines (including Sauvignon Blanc); today the focus is on both select white and red wines including a non Napa Valley produced Cabernet Sauvignon. 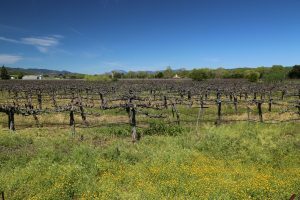 These wines are all about the specific terroir from which they were sourced from and the label features contours (like on a topographical map) representative of this. 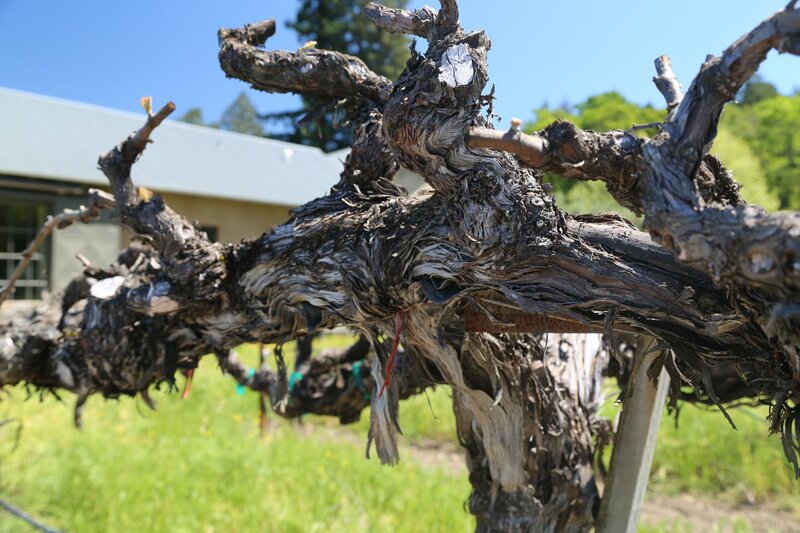 The nice feature about Liparita Cellars is the fruit sources are locked up into long term contracts which helps build consistency into the wines each vintage. For many years, the Hoopes Wines were available for tasting at what was Napa Wine Co’s shared tasting room in Oakville where they made their wines. But as of January 1, 2019 this tasting room stopped representing all vintner members other then their own three brands. 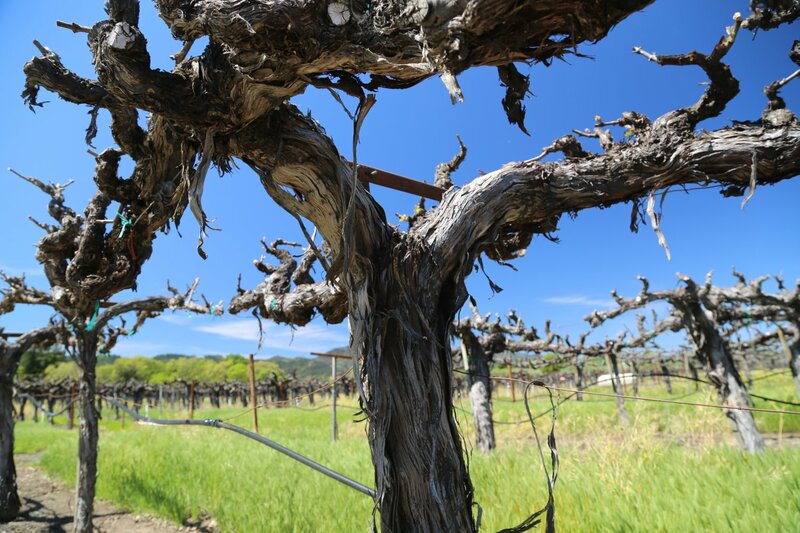 This is one of Napa’s great wineries in both a historical and influential sense. The original winery on site, Nouveau Medoc dated back to 1877 (Napa county’s 9th bonded winery). 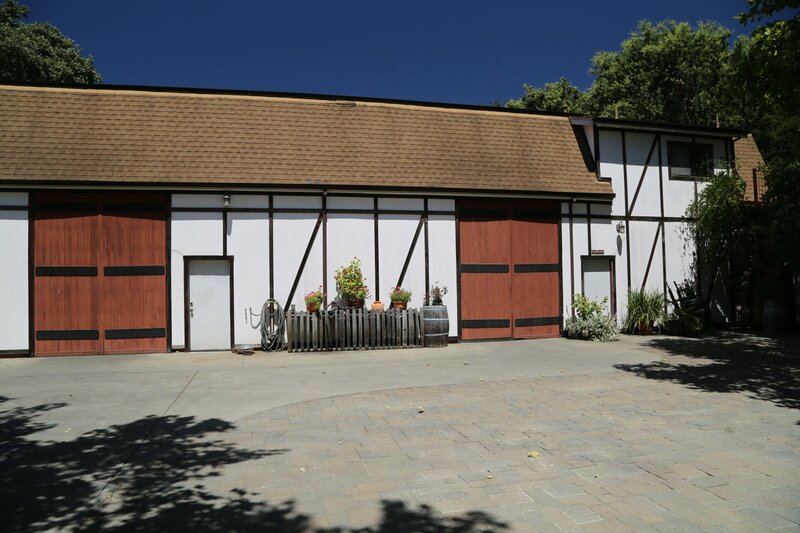 The long time Napa Bartolucci Brothers/Family built another winery called Madonna Winery on site in 1892 – Madonna Winery ultimately moved and has been located in the Carneros region to the south for decades. Hoopes acquired the old Hopper Creek Winery and accompanying vineyard in September 2017 (location: just south of the town of Yountville off of Highway 29). We will wait until the current renovation is completed and will revisit sometime in 2019. We drive by here all the time and have been keeping an eye on the visual updates to the exterior of the building and ongoing renovation. As always, will keep our ears open for the latest news about their plans for this winery. 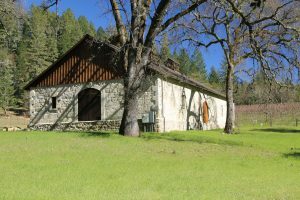 Out of the nearly 1,000 Napa wineries, producers and tasting rooms visited with to date, the old Hopper Creek winery production facility and tasting room is one the rare old school Napa wineries still left in the valley; we are hoping the winery retains its rustic charm once all the dust settles. NOTE: This review has been identified as needing a major update. We will visit the winery once the remodeling is finished and they begin taking appointments. I have not received my order from Oct. 28 2014, please respond. 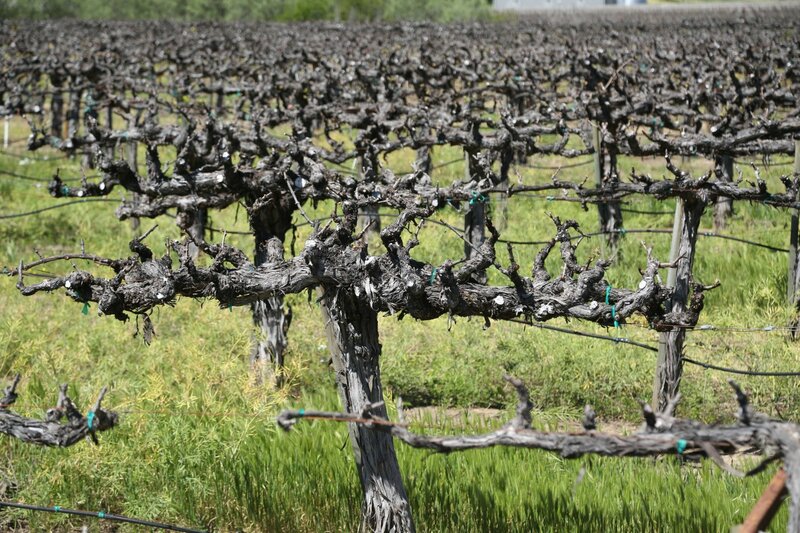 Where can I find your Napa Cab in the Austin Texas area? If not, how can I order a case?